Many children are scared of the noise of hand-dryers, or find them inaccessible. The Magic Dryer Company have come up with a solution – the first hand-dryer for washrooms (slimline and low-noise) that’s made with children in mind. 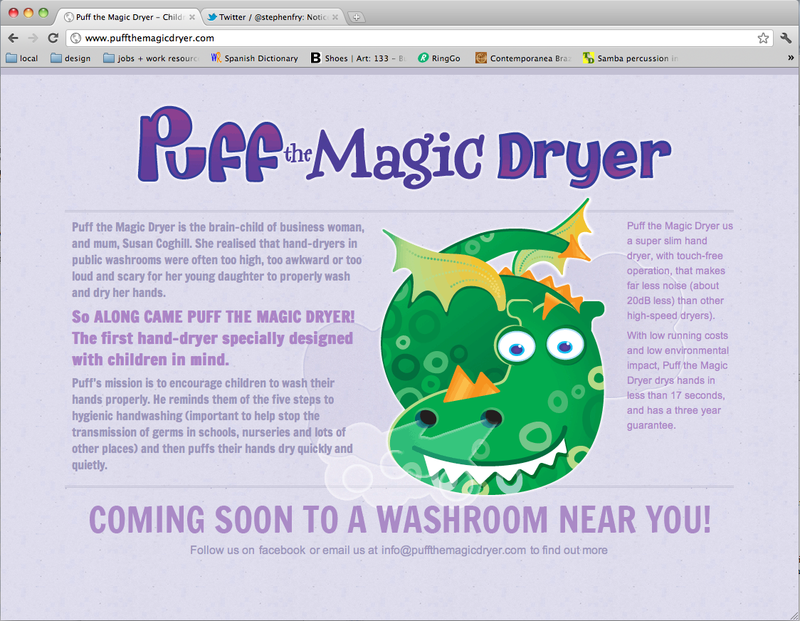 They briefed me to design and develop the Puff character (obviously inspired by the 60s kids’ tune Puff the Magic Dragon) as a friendly dragon who will blow their hand dry (and encourage them to wash their hand in the first place!). I’ve also designed the logo. It’s the beginning of a brand. This is the holding page for the website (copywritten by me too) which will be further developed in the very near future.